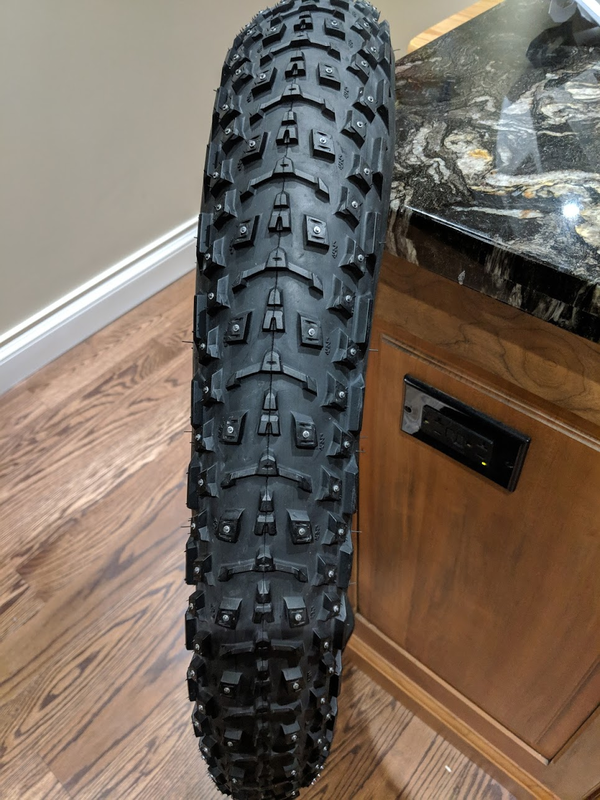 I know what you are thinking... what kind of a fool would make snow tires for a bike? And what kind of a fool would buy them? Wonder no more! 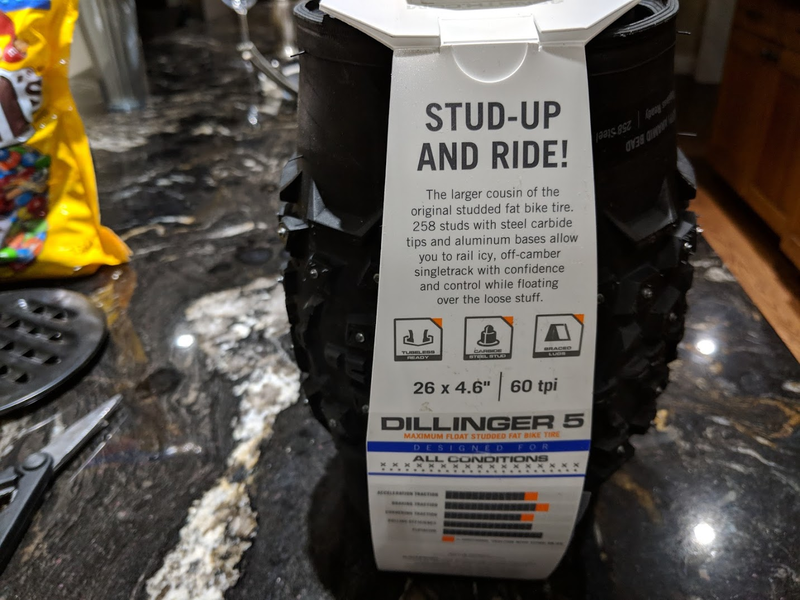 Here we have a shiny new, rubbery-smelling, pair of 45Nrth Dillinger 5. 258 steel-carbide studs per tire of softish compound for traction galore. 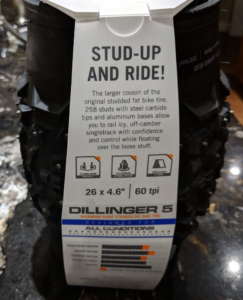 Acquired from 'fatbikes.ca', shipped from Bracebridge, and soon to be installed for 'mad traction' and a 'dramatic reduction in incidents involving pavement and pain'.